IXACT Contact is a web-based real estate CRM that helps realtors and agents stay organized while building lasting relationships with past clients, prospects and important referral sources. The platform makes it easy to stay in touch with clients in a way that's personalized, relevant and timely. IXACT Contact also includes automated, professionally designed and written monthly real estate e-newsletters and targeted drip email campaigns. IXACT Contact’s built-in CRM tool helps users manage their leads and business pipeline, as well as keep-in-touch calls, email marketing, and active business through an attractive user interface and customizable home page. Users can manage rich contact profiles and categorization, as well as create automated task and appointment reminders with real-time sync with Google, Outlook, and more. The intelligent Keep in Touch Coach adapts as contacts move through the sales pipeline to ensure users stay in touch with contacts at the right time, and in the right ways. IXACT Contact’s marketing experts provide users with monthly e-Newsletters and targeted drip email campaigns that are professionally written and ready-to-go (as well as mobile responsive). Users can create attractive e-Card templates for new listings, just solds, birthdays, holidays, and more. Users can even add video to their email marketing with the BombBomb integration. IXACT Contact provides realtors and agents with a custom, beautifully-designed, and professionally-written website with full social media integration and a done-for-you blog. Powerful lead generation and lead capture features enable users to showcase their business and services. A great CRM for new or seasoned agents! My experience has been a great one! I use the platform every day with the letters I use for marketing and the tracking of my business and reminders. I love that the system keeps copies of my emails in the notes to each client along with my notes. The website moves fast and all the information I am looking for is at my fingertips in a few clicks. From day one in 2013, I have loved the ease of use. Set up was easy with all the help offered by Ixact. The APP works great and most of the features on the website are available are on the APP. From day one in 2013, I have loved the ease of use. Set up was easy with all the help offered by Ixact. The APP works great and most of the features on the website are available are on the APP. With the launch of the new Ixact Contact website this year, there are no cons. Ixact has made it a mission to always listen to its subscribers and make enhancements and find additional services at a great value. I'm fairly new to the industry and work with an independent agency. Since I added IXACT Contact a few months ago, I've been able to be better connected with my clients. I had struggled with other programs, IXACT contact is affordable and works well! The newsletter is outstanding and every time it is sent out, I get at least one inquiry from someone I hadn't connected with which has led to contracts! The newsletter is well written and I can see exactly which prospects open it. The option to create my own newsletter is helpful too, and I plan to use it to create a quarterly keep in touch newsletter for past clients. Customer support is very responsive and helpful. During initial setup, my contacts were moved over seamlessly. While IXACT itself is fairly intuitive, I wish it would allow me to personalize my home page a bit more and shuffle fields I use more often than others. Even being able to switch colors of the background would be nice as the drab khaki is utilitarian, but not inviting. However, the company is responsive and I suspect they will come up with that in the near future! Another thing I would love to see is possibly integration with local MLS so you could automatically feed in properties. There is much more IXACT Contact can do and I look forward to digging in! In eleven years as a realtor, not only have I tested practically "all the flavors" with database management software, but I have also learned one thing about them the hard way: It's better to choose the best FROM THE BEGINNING. Being a realtor is a never-ending job. Why add more work hours and stress-changing software if they don't work properly, or they are not easy to use? 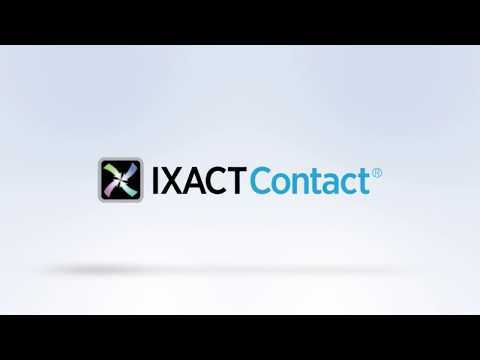 IXACT Contact is the best with an easy, friendly and intuitive way to use and learn. We need specific but easy tasks to do to stay in contact with our clients - and that's what this software does. It never fails, it never forgets. Tasks, birthdays, anniversaries, newsletters by email, personalized newsletters by mail, drip campaigns, and so forth: IXACT Contact has it ALL. You have to set them up once, and that's it. And if you have any problems or questions, I never met a technical support team so responsive as they are (particularly Kevin & Michael). They never EVER "dodge the bullet". On the rare occasion that there is a problem, they will fix it for you. You do not need a Ferrari to go to the supermarket. You need something simple that works and covers all your needs as a realtor. It's as simple as that. Follow my advice: Get Ixact Contact from the beginning. You won't regret it. I love my CRM & Website! I wish there were more integrations with other companies or software platforms. I wish the platform was a little more responsive to text messages. I wish I could integrate with my MLS. I have been using IXACT contact for probably close to 3 years. I joined a busy pair of Top Producers nearly 6 years ago and slowly got our contact list working for us. We tried Top Producer, switched back to Microsoft Outlook and then realized that we needed something that would sync with all 3 of our computers and importantly back to outlook. Client info, trades people, business contacts and our calendar can all be coordinated. Now when I update or add a client, we all have that information and can then sync it to our phones. This was essential as when one of us needed to book appointments or contact a seller we didn't have to run into the office to get the info off of the file. We send out the monthly e-mail and really love the content and opening paragraph (after we change all the I's to we!). I love that IXACT contact is continually improving the system. Whenever we have a question or need help the guys on the support line are fast and friendly, I feel like I'm calling a friend with a question! IXACT contact is working for us!!! Thank you! $39/month, billed monthly or $33/month, billed annually. • Organize and manage all your contacts using rich contact profiles and categorization tools. You can sync all contacts within Google, Outlook, and more in real time to keep track of leads. • IXACT Contact’s automation and intelligence features prompt you when to make a call, send a follow-up email, schedule a visit, and more to ensure you’re keeping in touch with contacts at just the right time and in just the right ways. • IXACT Contact completely automates the social media marketing process by regularly posting exclusive and engaging content from top tier publications for you, including a custom branded landing page and lead capture form. • IXACT Contact putts all your contact data together in one organized and easy-to-manage database to reduce time hunting for contact information. • IXACT Contact's team of experts provide you with professionally written and designed monthly e-Newsletters that look amazing on mobile. View advanced campaign reports to see who is opening and clicking on your emails. Below are some frequently asked questions for IXACT Contact. Q. What type of pricing plans does IXACT Contact offer? Q. Who are the typical users of IXACT Contact? Q. What languages does IXACT Contact support? Q. Does IXACT Contact support mobile devices? Q. Does IXACT Contact offer an API? No, IXACT Contact does not have an API available. Q. What other apps does IXACT Contact integrate with? Q. What level of support does IXACT Contact offer?